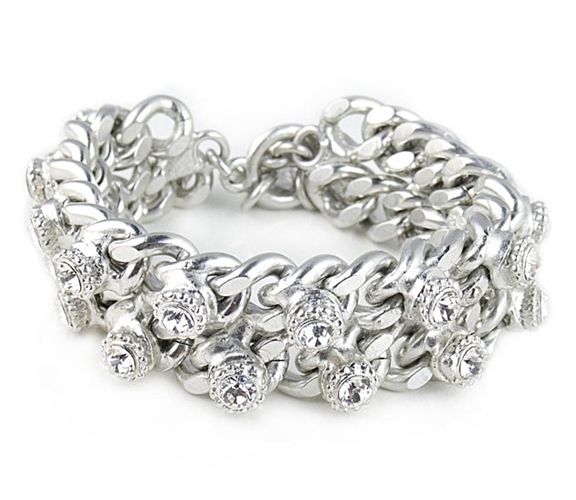 Silver chain bracelet with Swarovski crystals by Otazu. This stunning designer bracelet features two chunky 9mm solid silver chain with swarovski crystal beads. Bracelet measures 20cm / 7.9 " in length and has the trademark Otazu charms on the toggle closure.